iOS 11 Beta User? Join Our Test Flight! You're using DEVONthink To Go and already running iOS 11 Public Beta on your iPad or iPhone? We'd love to show you what we've prepared for iOS 11 and hear your feedback! We announced that public beta 2 would be the final beta but we found what we hoped we would(n't) find: critical bugs. So, here's public beta 3 with important bug fixes. Christmas is near but we have worked up to the last minute to provide you with the latest builds before we switch off our Macs and spend some relaxing days with our families. 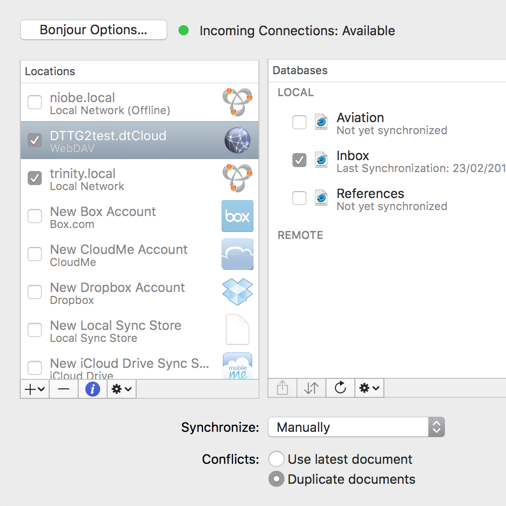 Public beta 3 of our sync technology fixes a few minor but annoying bugs and public beta 4 of the web sharing plugin improves the whole user experience. Today we have released the last public beta of DEVONagent 3.0 to the wild. We have added our new support assistant with one-click installs for plugins and scripts, a stand-alone menu extra similar to DEVONagent Express, and dozens of more new improvements and bug fixes. We also have updated DEVONthink and DEVONnote to version 2.1.1 with bug fixes e.g. for the Sorter. Definitely a recommended update for all of you using DEVONthink or DEVONnote!